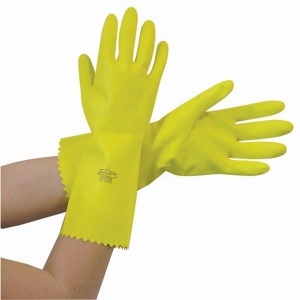 The Polyco Optima Rubber Chemical Resistant Glove is a latex rubber mediumweight household glove with a soft cotton flock lining. 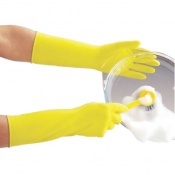 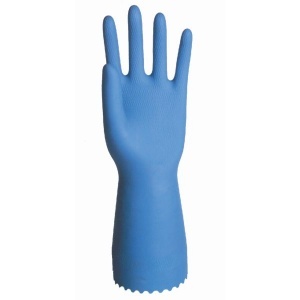 This natural rubber glove performs well to protect against acids, alcohol and other chemicals. 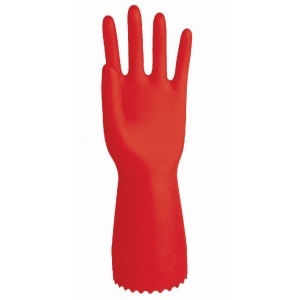 The Polyco Optima Rubber Chemical Resistant Glove is mediumweight offering improved strength whilst maintaining a high level of dexterity. 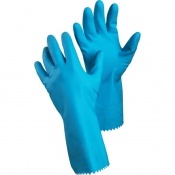 This safety glove also benefits from a slip resistant pattern on the palm and fingers ensuring a good level of grip especially in wet conditions. 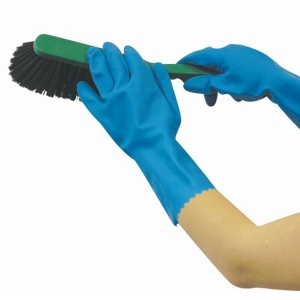 The Polyco Optima is also available for purchase in a pack of 12.